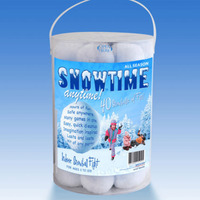 Snowtime Anytime indoor snowballs are safe anywhere! 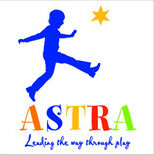 Kids and adults love them! They're many games in one, exercise and laugh non stop, and you can even decorate with our snowballs. Feels like snow, made out of soft material, no mess, no slush, hours of fun! These will keep kids and adults busy for hours, and get them exercising without even knowing it. 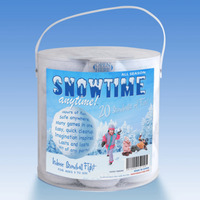 Snowtime Anytime is an excellent gift idea all year round, and is perfect for any type of party or get-together. 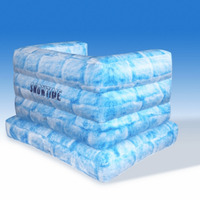 Our soft snowballs are machine washable and dryable on gentle cycle and are approximately 3" in diameter. "If you are into family fun...get this toy! I have had a indoor snowball fight with my five year old almost every night. These even crunch like a snowball. 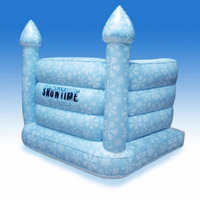 We plan on getting more for the next work Christmas party!" "This was a huge hit with my family that I sent it to for Christmas. They took pictures to share of their snowball fight. Fun gift and good value."